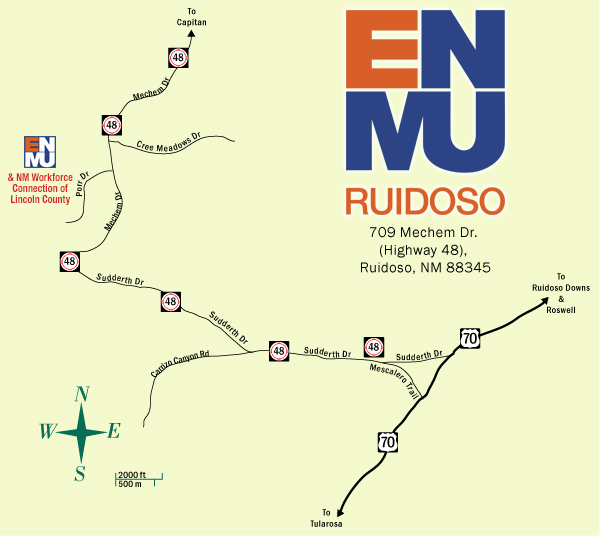 The ENMU-Ruidoso Campus is located at 709 Mechem Dr. (Highway 48), in Ruidoso, NM, directly across from Albertson’s Market. We are on the north side of the Village, a short distance from downtown. The map below will help you find your way around the campus building.